Ciro is a political asylee from Venezuela, fleeing from his home country after being threatened because of his work documenting human rights violations. Although highly educated, he did not speak English when he arrived in the U.S. Ciro studied at El Centro Del Cardenal in Boston while working as a digital media editor, multimedia journalist and video producer at El Mundo, a Spanish language newspaper, and pursuing a degree in journalism at Bunker Hill Community College. Ciro is now a producer at NBC Boston. Hear Ciro’s story — watch the video. Born in Colombia and raised in Venezuela by a single mother, Yamileth came to Boston in 1996, taking over her father’s convenience store in Hyde Park when he became ill. After years of working and learning English, she decided to go back to school. Yamileth graduated from Bunker Hill Community College, where she served as a student representative on the board of directors, in 2015. She completed her degree in accounting and is now working in her chosen field. Mohamed is a hardworking widower and father who escaped the civil war in his home country of Sierra Leone. He works at the Ritz Carlton Hotel where he has won the prestigious “Five Star” employee of the year twice and is also heavily involved with the community. He attended Bunker Hill Community College, graduating in 2016, to not only better his own future, but also that of his two children. Hear Mohamed’s story — watch the video. 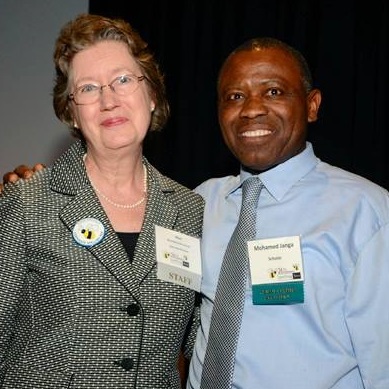 Vitalis attended high school in Nigeria and moved to the US in March 2009. He needed to take the GED exam because he didn’t have an original copy of his transcript, as required for registration at UMass. Eager to start his classes, he applied for a First Literacy Scholarship. 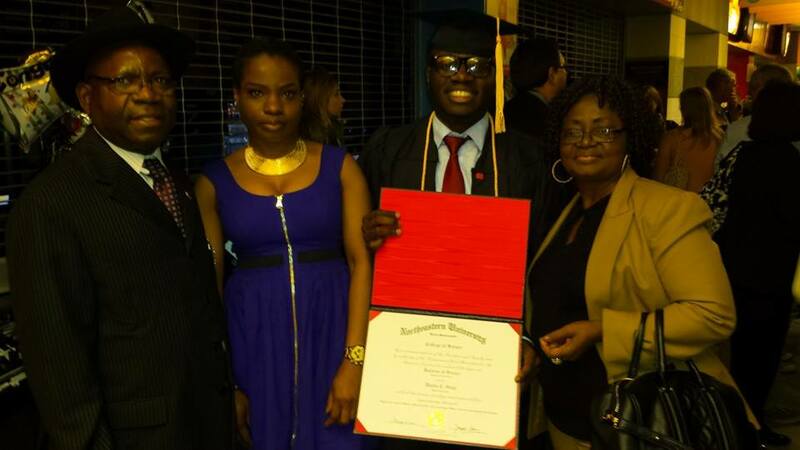 In May 2015 Vitalis graduated from Northeastern University. He is currently working at Massachusetts General Hospital as a Clinical Trials Coordinator while he completes medical school applications. For Lauretta, the loss of her parents and brother derailed her until the birth of her own son reminded her of her position as role model. She was determined to make up for lost time and sought help and support at Julie’s Family Learning Center. Their encouragement motivated her to revive her aspirations and pursue her degree in accounting until graduation in 2014. She now works in her chosen field. Hear Loretta’s story — watch the video.